Cabinet photograph of a man identified on reverse as Willard Jencks; the photo was taken by the P. H. Rose studio of Providence, Rhode Island. 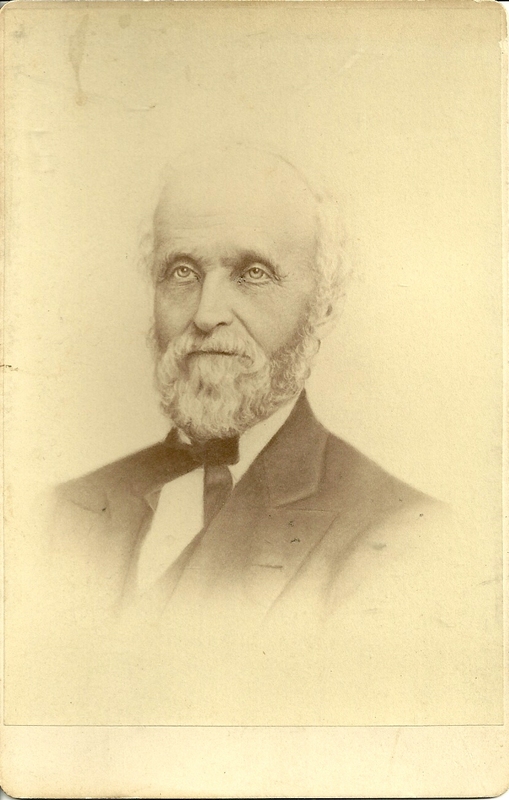 Willard Jencks was born in August of 1824 in Rhode Island, the son of, I think, Pardon Jencks and his wife Lydia (Bolster) Jencks. He married twice. 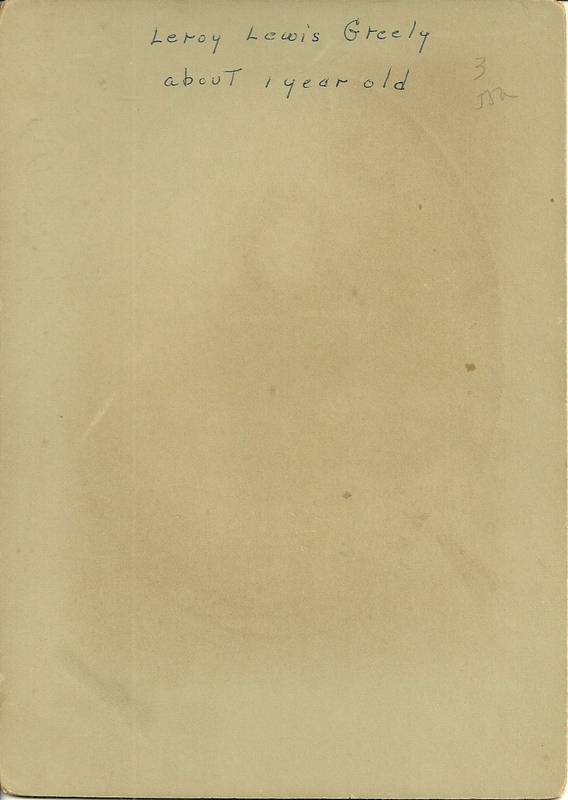 His first wife was Louisa Whipple, the daughter of George and Lydia (Arnold) Whipple; Louisa died in 1885. 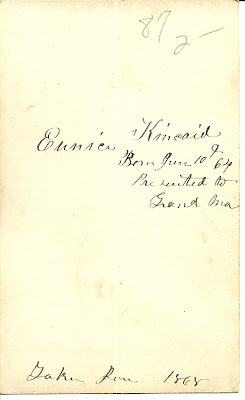 On 1 Jun 1886 in Rhode Island, Willard married Rosamond; as yet I haven't found her maiden name or parents. 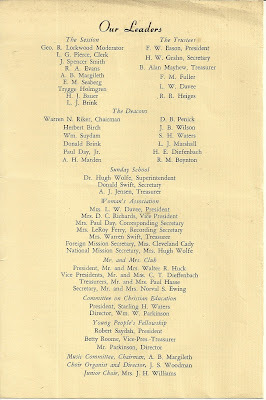 I believe Willard and Louisa had a son George W. Jencks, born December 1859 in Rhode Island. I've seen Willard Jencks shown also as Willard Jenckes. If you have any corrections, additions or insights regarding the information presented above, please leave a comment in the comments box or contact me directly. Thanks for stopping by! 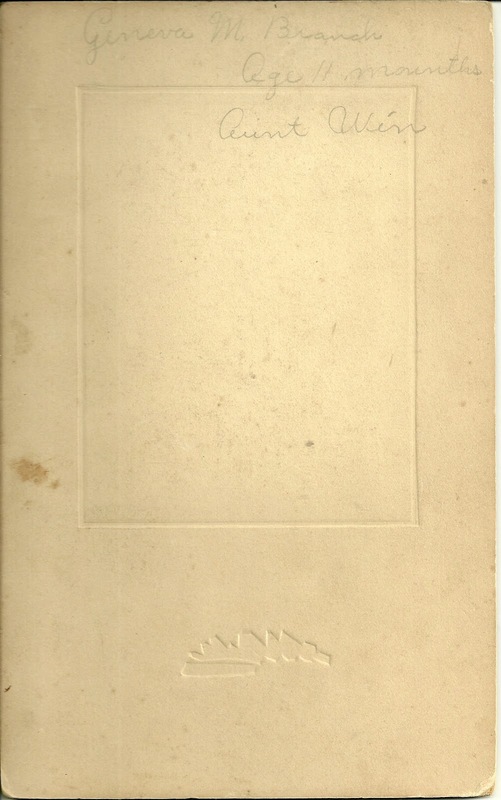 Cabinet photograph of a young man identified on reverse, in what I assume is his own handwriting, as F. M. Lamb. 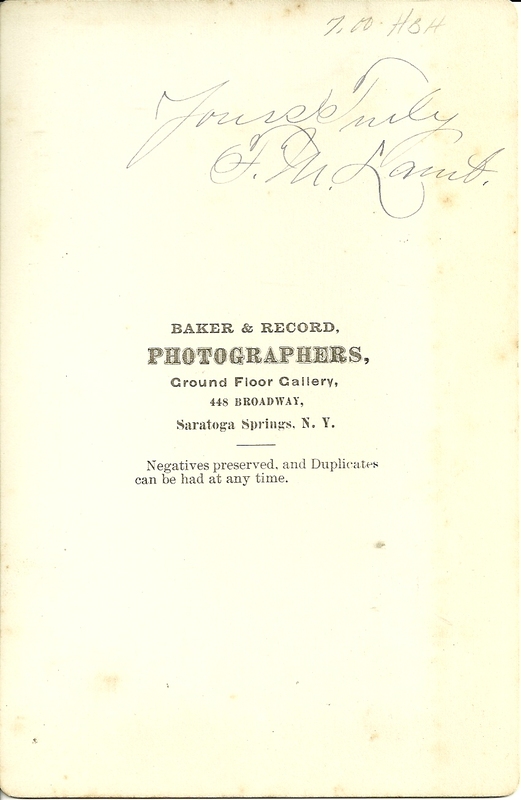 The photograph was taken by Baker & Record, Photographers, Ground Floor Gallery, 448 Saratoga Springs, New York. I'm wondering if this is a photograph of Francis Mortimer Lamb, the well known painter of Stoughton, Massachusetts, who was born 5 May 1861 in Middleborough, Massachusetts, the son of Amasa Augustus and Ardelia (Monk) Lamb. 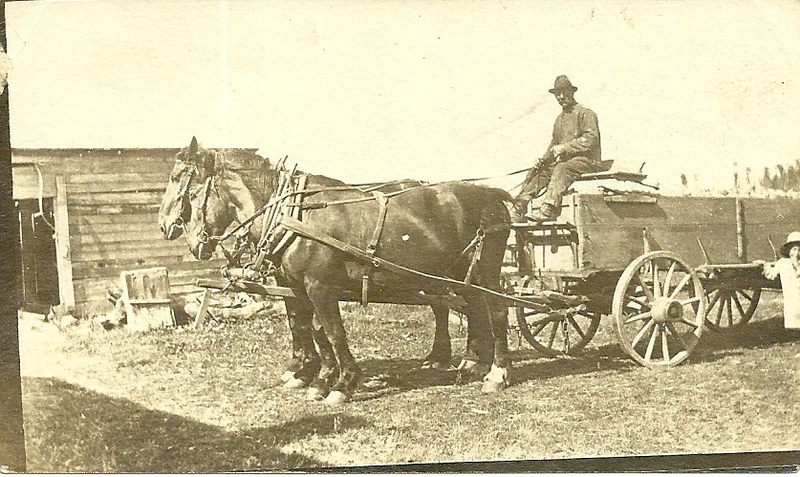 His paternal grandparents were Amasa and Susan Lamb. 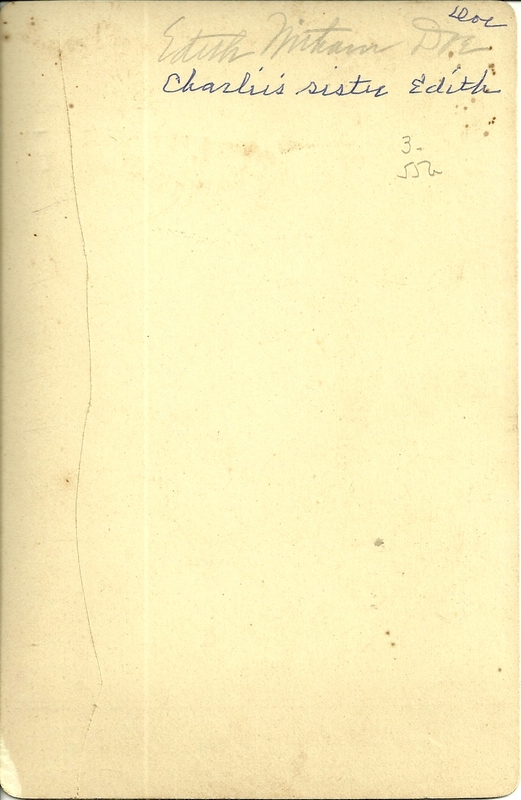 I haven't yet determined his mother's parents, though I found her in the 1850 Census of Stoughton, living with what appear to be three siblings in the household of Philip and Sally Wood. 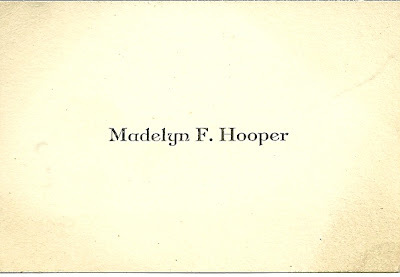 Interestingly, an obituary I read said that she had a Troy, New York connection, which would put her in the neighborhood of Saratoga Springs. 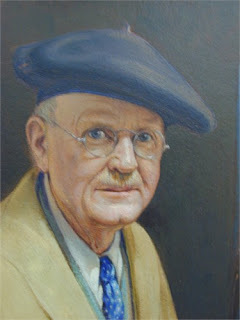 Does this fellow resemble the youth in the photograph above? It's odd that I also found a famous Stoughton painter by the name of Frederick Mortimer Lamb with the same birth and death dates. 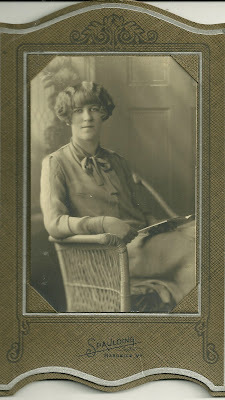 Francis Mortimer Lamb married Rosanna Farrell in 1906. She was born in July of 1866 in Stoughton, Massachusetts, the daughter of Irish natives John and Rosanna (Sheridan) Farrell. 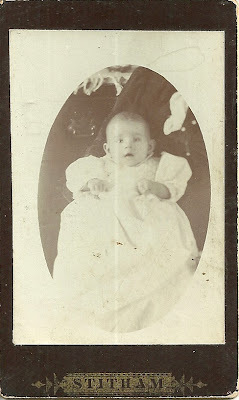 I believe Francis and Rosanna had two children who died in infancy. 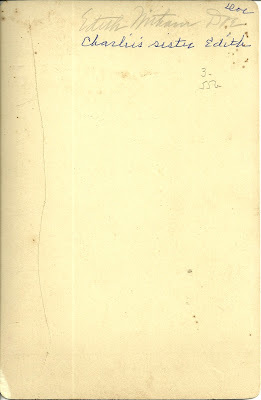 All that said, this could be a completely different F. M. Lamb. I found a couple instances of a Franklin Lamb, one with parents of Lorenzo and Margaret in Westerlo, New York; the other with parents of Leonard and Susan in Fowler, New York. There could be many more. 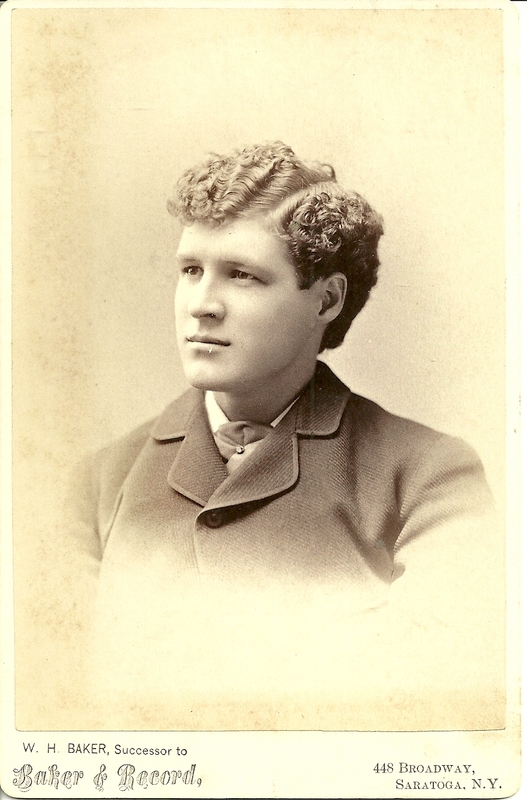 If you recognize this young man from a biography of artist Francis Mortimer Lamb, or from your family albums or research into the Lamb family, please leave a comment in the comments box or contact me directly. 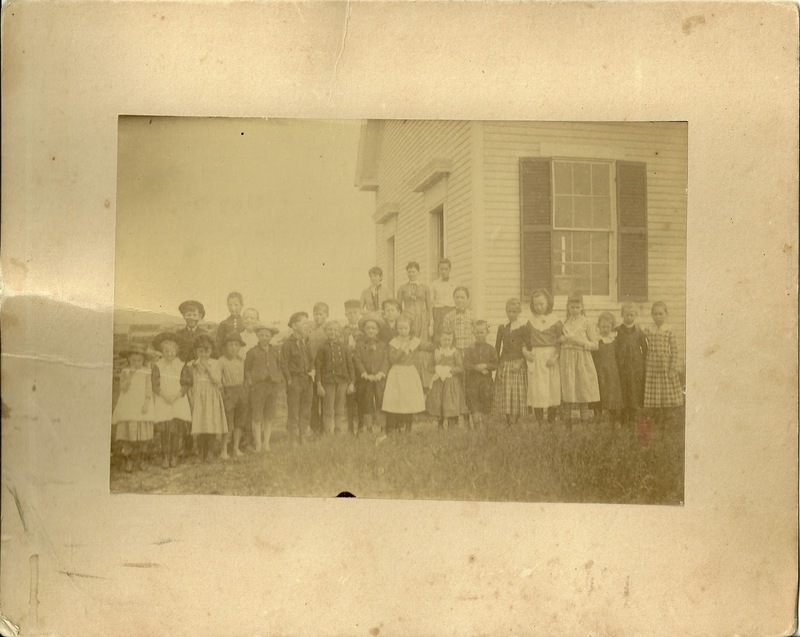 Late 19th or early 20th century photograph of schoolchildren taken by the Pollard studio of Dover, Maine. Sadly, no one in the photograph is identified. 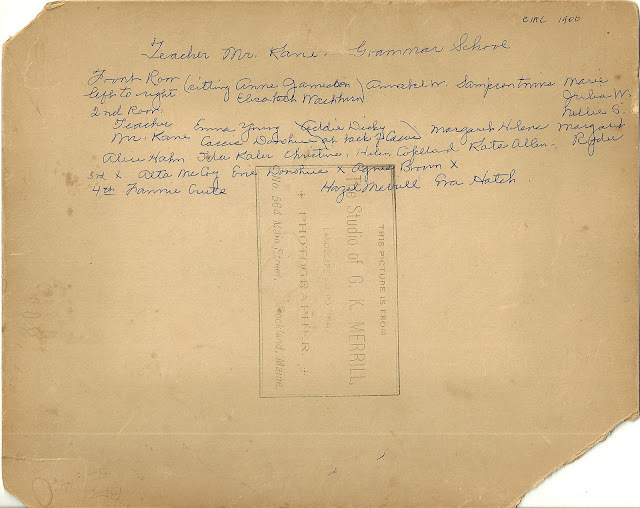 The photograph may have been taken at a Dover school or another school in nearby town in Piscataquis or Penobscot counties. 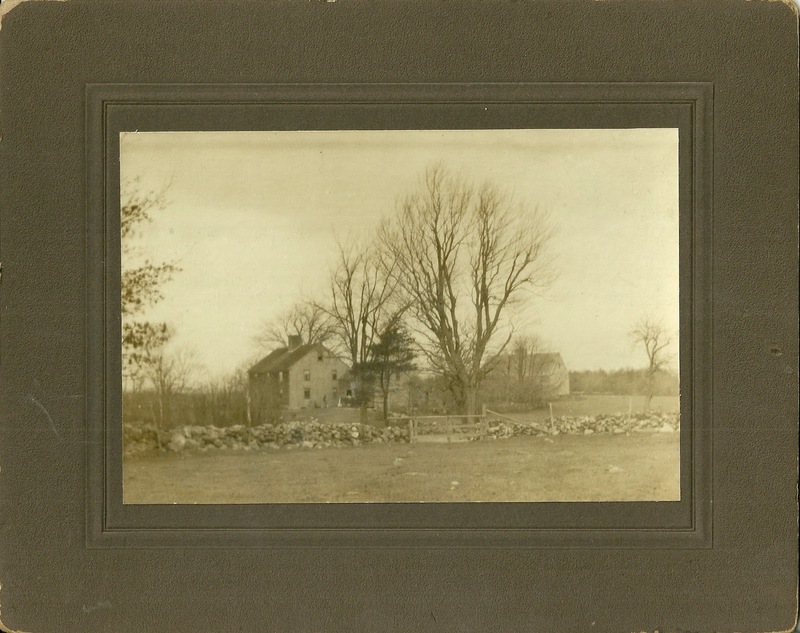 The school appears to be situated on a knoll with a large barn or other building in the background. In 1922, Dover, on the south side of the Piscataquis River, merged with Foxcroft, a village on the north side, to create the town of Dover-Foxcroft. If you happen to recognize the teacher, standing near the doorway, or anyone else, from your family albums, please leave a comment in the comments box or contact me directly. 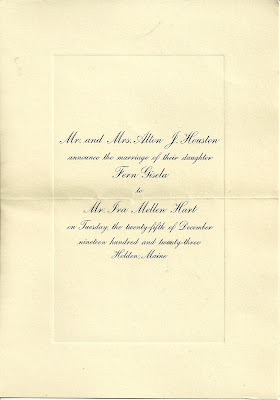 Alton J. Houston was born 1 December 1881 in Bucksport, Maine, the son of John M. and Lenora Houston. 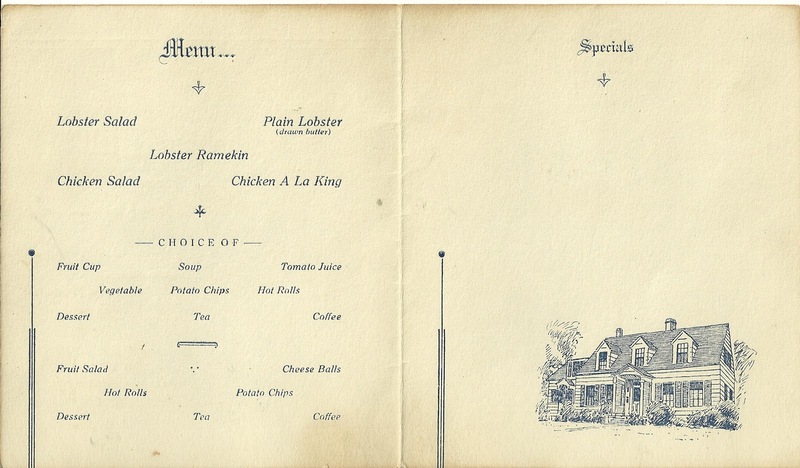 In 1904 he married Ida L. Cowing of Dedham, Maine. 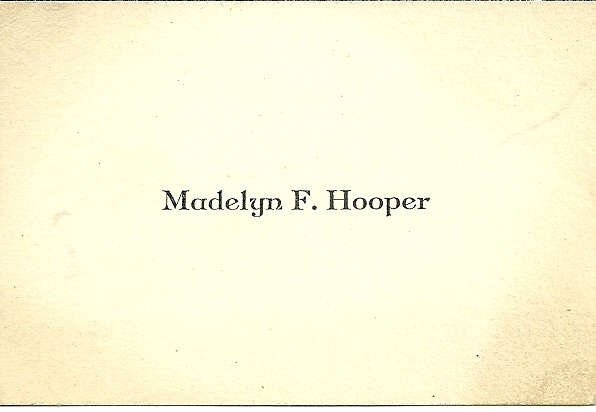 She was born 26 January 1884 in Maine, the daughter of John Frost Cowing and his wife Lucy Ann (Saunders) Cowing. They had three daughters in all. 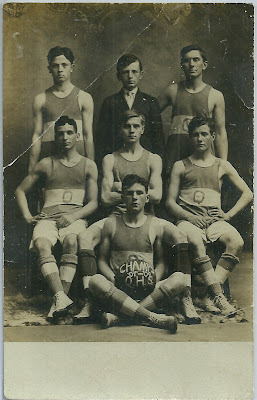 Real Photo Postcard of the basketball champions of Bucks County for the school year 1908/1909. 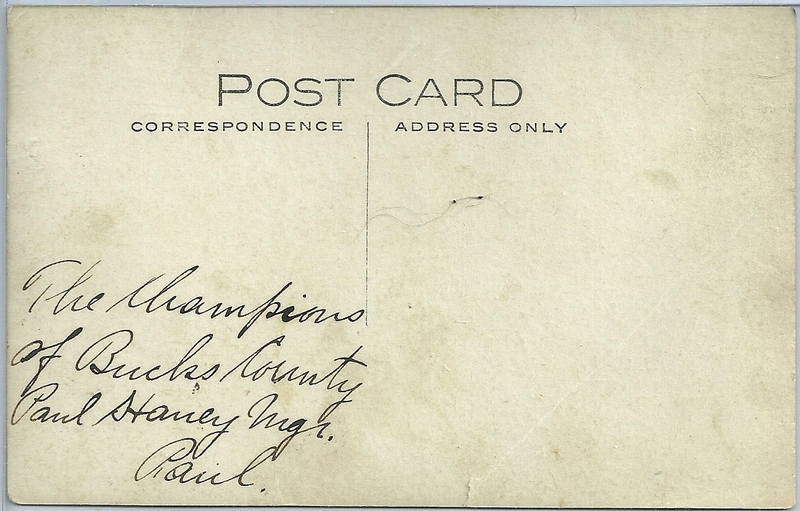 They aren't individually identified on the reverse but their manager is - Paul Haney. Because the ball appears to read "Q.H.S. ", and I found a Paul Haney living in Bucks County in Quakertown, Pennsylvania, I believe that this is the champion basketball team of Quakertown High School, Quakertown, Pennsylvania. 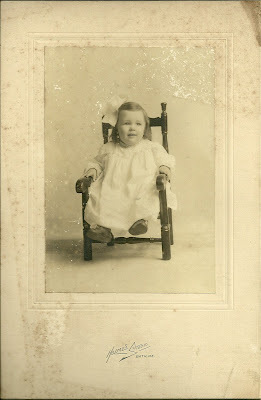 The Paul Haney in the photograph may be the Paul S. Haney, born December 1891 or 1892 in Pennsylvania, the son of David Ziegler Haney and his wife Sarah Elizabeth (Sigafoos) Haney, both born in Pennsylvania. 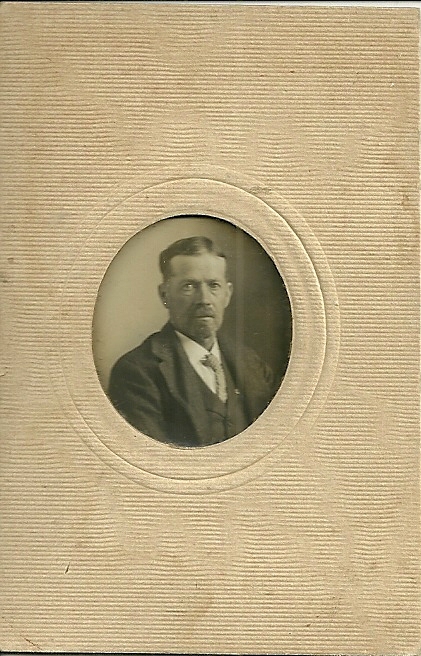 Cabinet photograph of an elderly man identified on reverse on Mr. Langworthy. 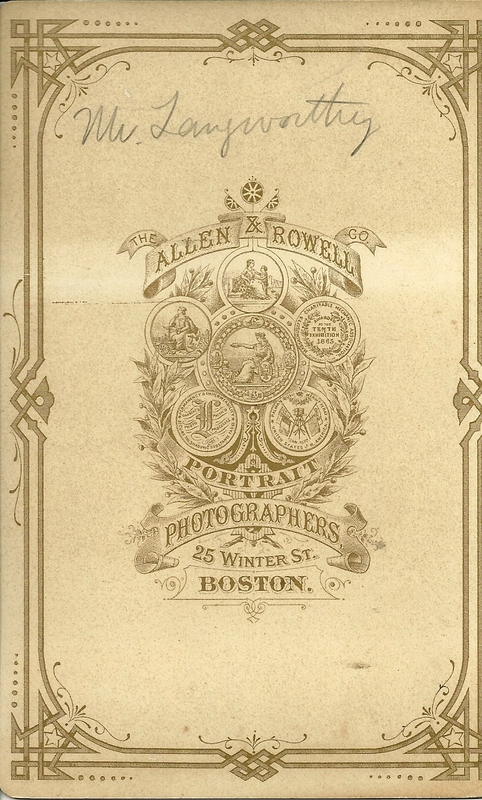 The photograph was taken by Allen & Rowell, Boston, Massachusetts. 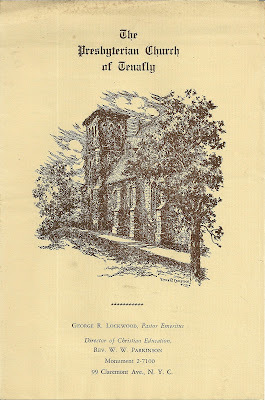 I found an I. P. Langworthy in the 1880 Census of Chelsea, Massachusetts, who indicated he was born about 1806 in Connecticut, living with his wife, born about 1819, also in Connecticut. 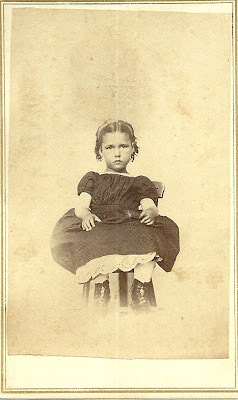 They were living with their servant, Martha Gates, born in North Carolina about 1826. 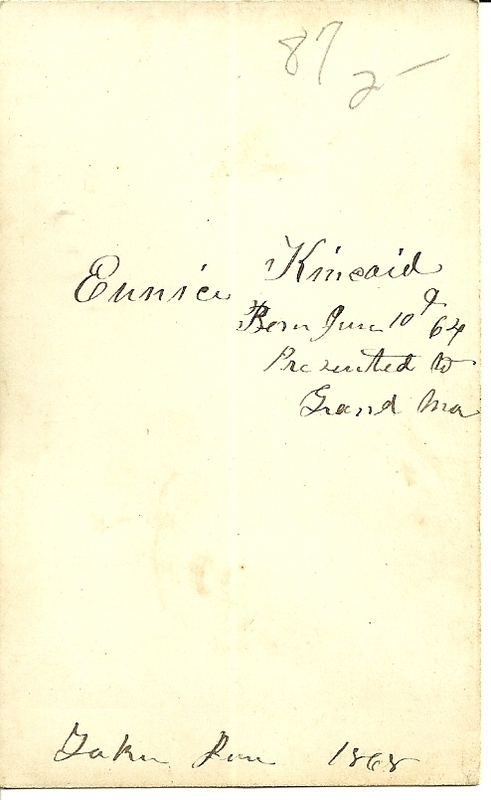 He is likely Reverend Isaac Pendleton Langworthy. 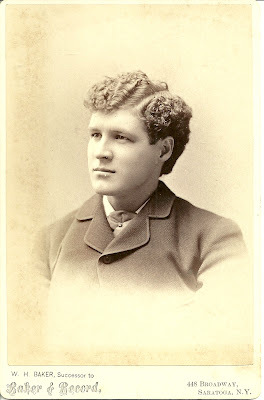 Whether or not he is the Mr. Langworthy in the photograph, I don't know; perhaps a reader will solve the mystery. Isaac Pendleton Langworthy was born 19 January 1806 in North Stonington, Connecticut, the son of John and Sarah (Pendleton) Langworthy. 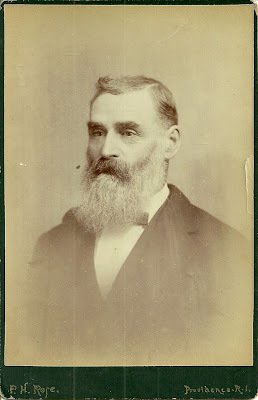 His paternal grandparents were John and Altana (Babcock) Langworthy. 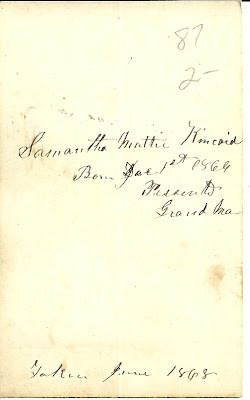 His maternal grandparents were Nathan and Amelia (Babcock) Pendleton. On 8 August 1842, Isaac Pendleton Langworthy married Sarah Williams, who was born 31 July 1818 in Connecticut, the daughter of Cyrus and Martha (Wheeler) Williams. I wasn't able to find any children for Isaac and Sarah, but they may have had some. 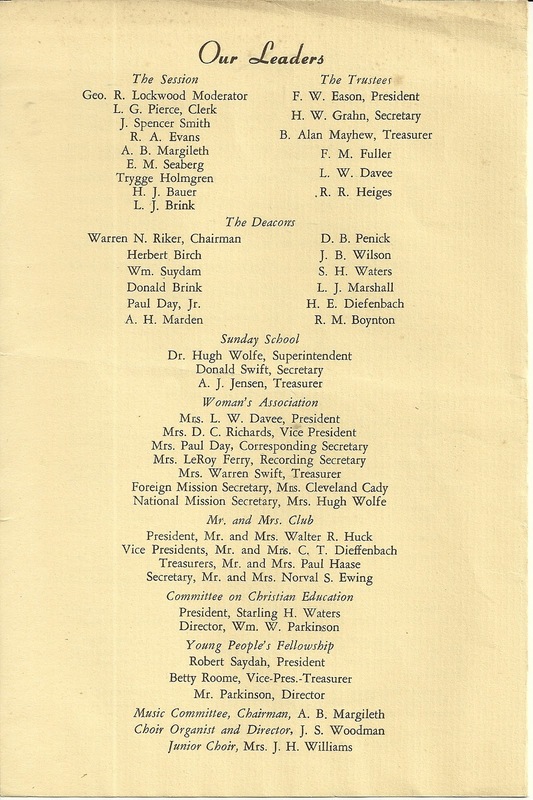 If you have any corrections, additions or insights to the information presented above, especially if you have a different prospect for the Mr. Langworthy in the photograph, please leave a comment in the comments box or contact me directly. 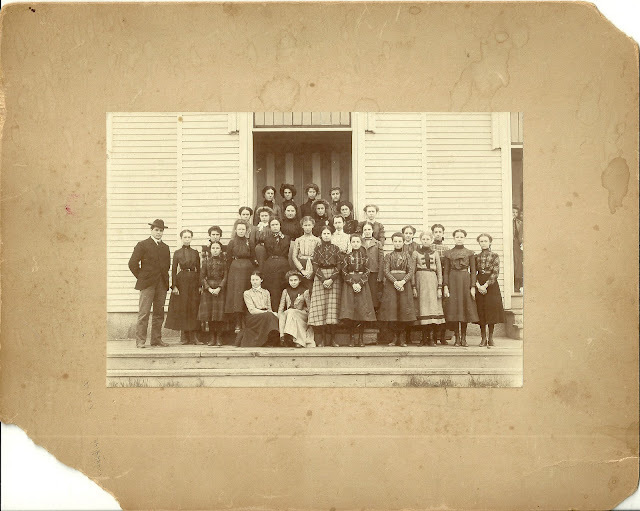 Circa 1900 photograph of female students and teacher Mr. Kane at a grammar school in the Rockland, Maine area. 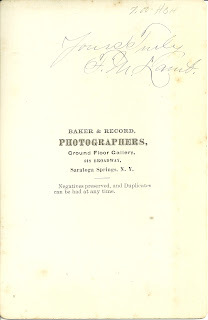 The photograph was taken by G. K. Merrill of Rockland. After researching the names of some of the students, I believe this school was located in Thomaston, Maine. 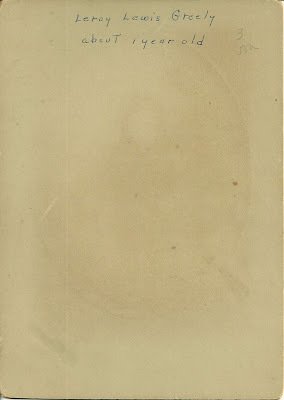 There must have been a companion photograph of the male students. If you note names I've transcribed incorrectly or incompletely, please leave a comment or contact me directly. If you have corrections, additions or insights regarding the information presented above, please leave a comment or contact me directly. 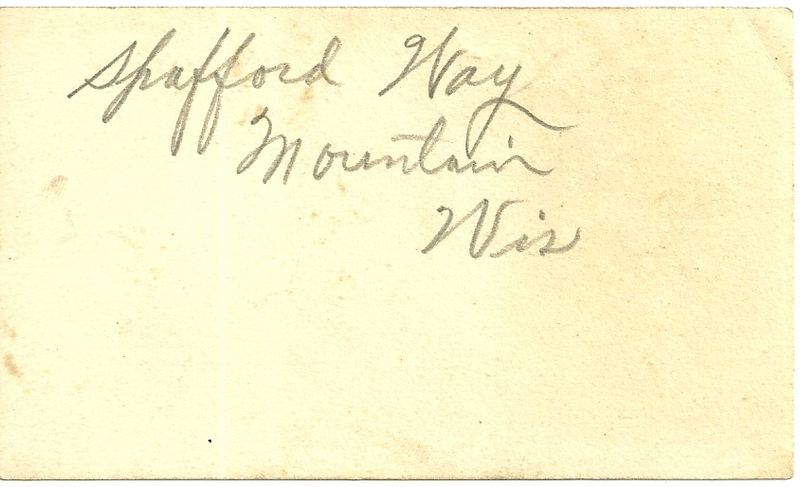 Circa 1900 photograph of a man identified on reverse as Spafford Way of Mountain, Wisconsin. 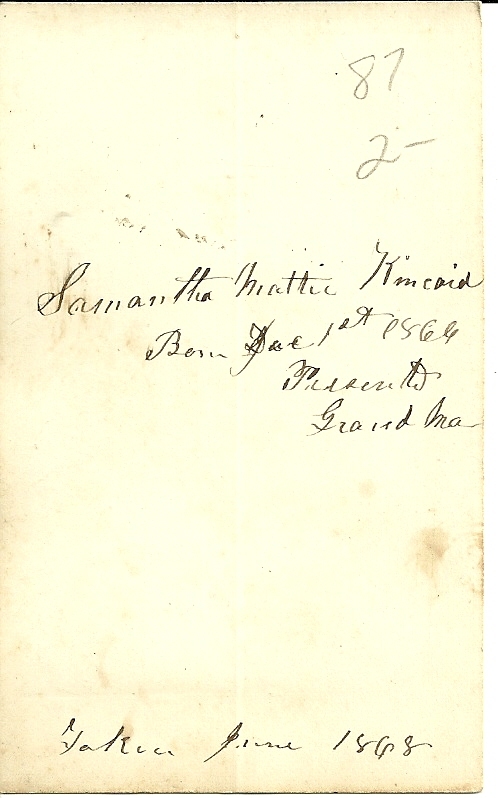 Samuel Cronkhite Way and his wife Bethania "Fanny" Feero, both born in New Brunswick. 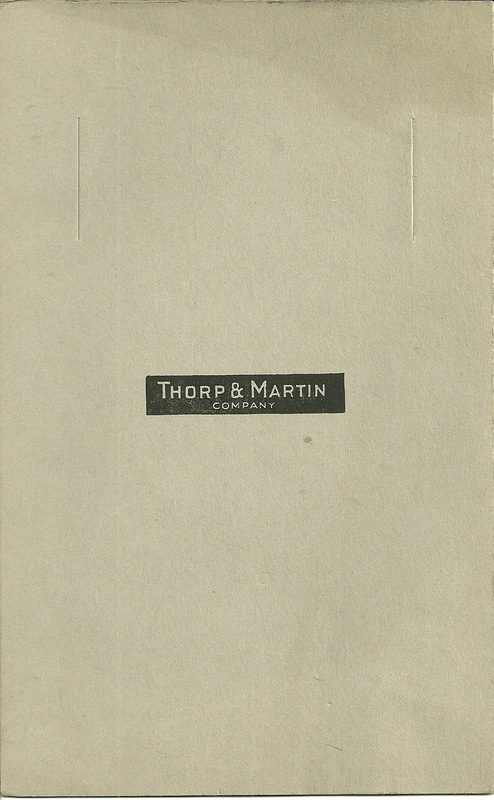 His paternal grandparents were Amos and Maria (Cronkhite) Way. 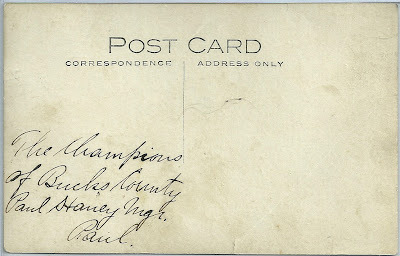 His maternal grandparents were Peter and Sarah (Ketch) Feero. At some point, Spafford Wayman Way moved to Wisconsin where he spent the remainder of his life. 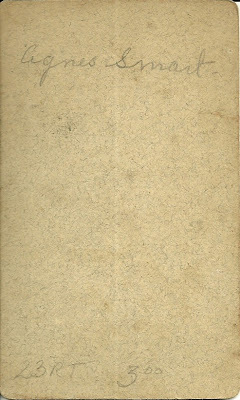 On 6 November 1887 in Larrabee, Wisconsin, he married Dora Mary Shaw, who was born in 1873 in Clintonville, Wiconsin, the daughter of William and Achsah (Ayers) Shaw. 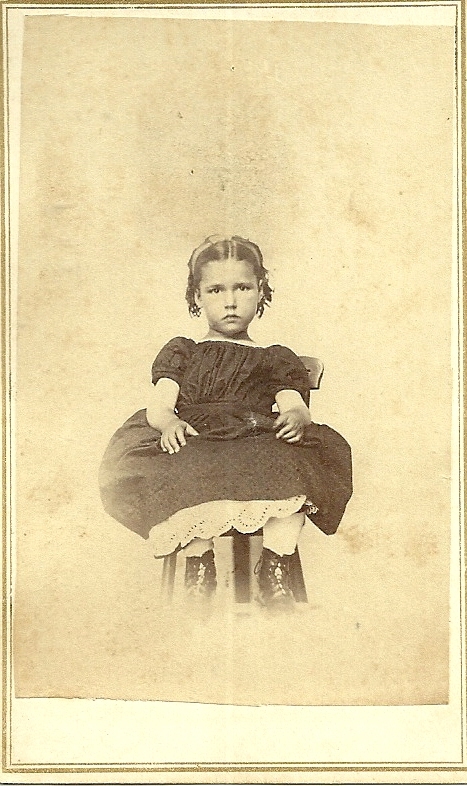 I believe Spafford and Dora had four children before she died in 1895. 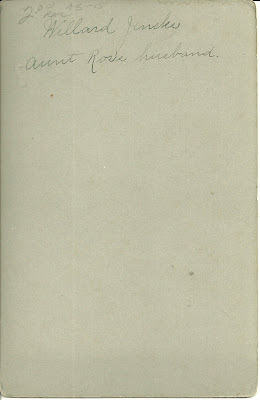 Her last child, Cecil Calvin Way, died in infancy; perhaps they died together during or as a result of his birth. 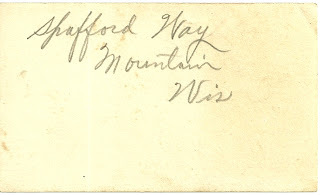 Several years later Spafford married Dora's sister Mary, who was born 25 November 1879 in Clintonville, Wisconsin, the daughter of William and Achsah (Ayers) Shaw. 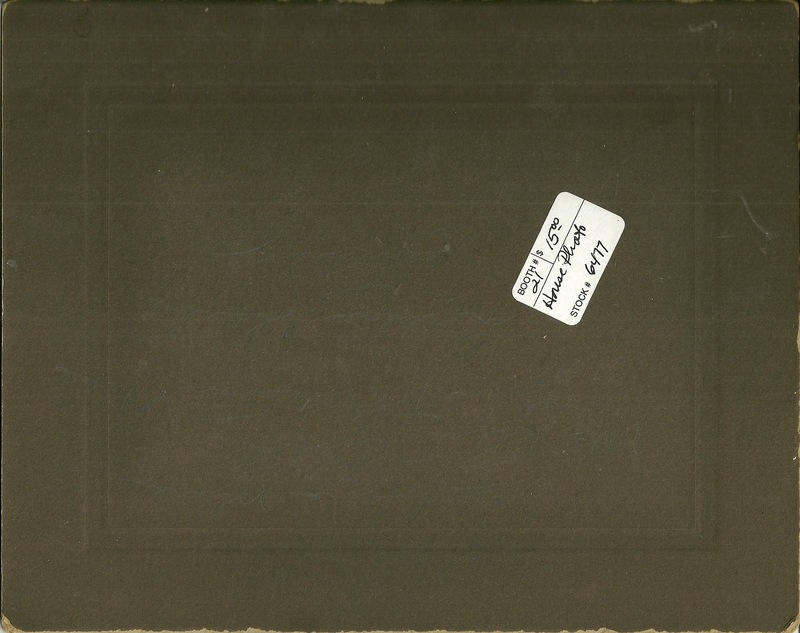 Spafford and Mary had, I believe, eight children. 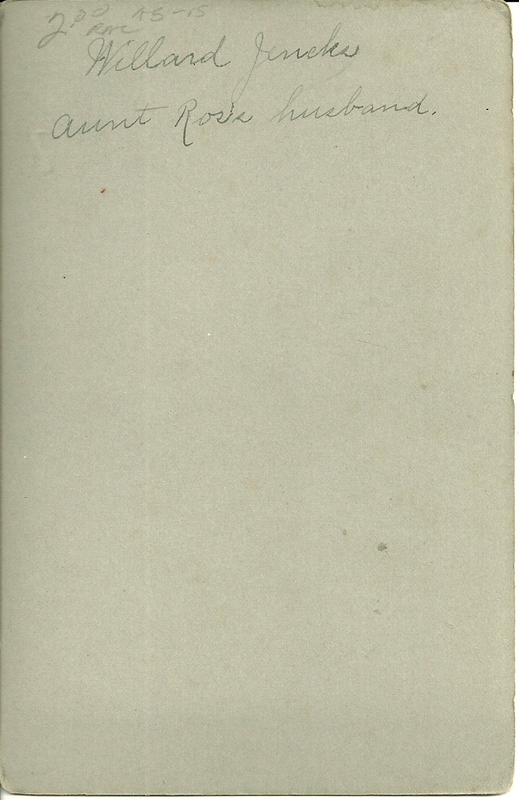 Spafford Wayman Way died in 1945; his widow Mary died in 1964. In Death's cold arm doth lie. Where thou hast gone before. 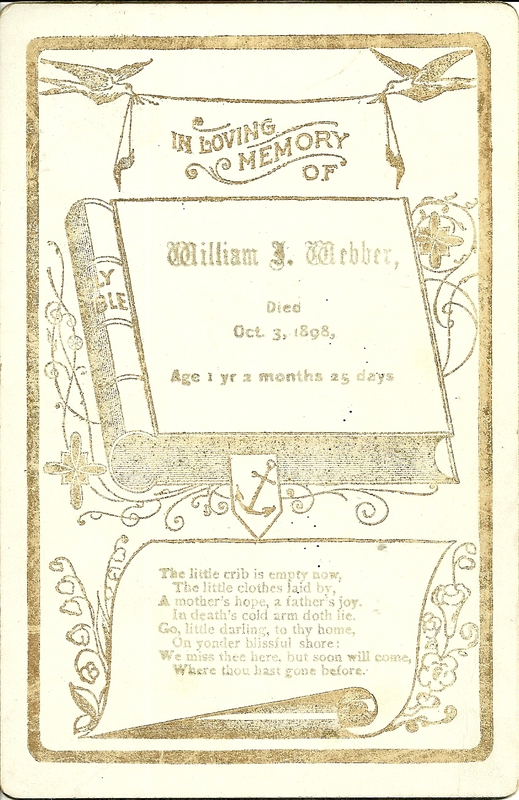 If you have any insight into the family of William Webber, or a thought as to his middle initial, please leave a comment in the comments box or contact me directly. 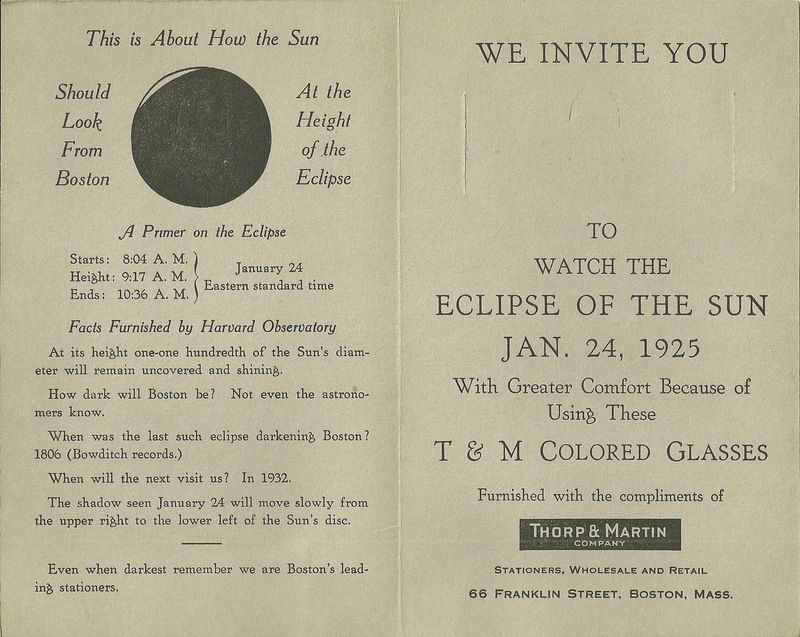 Neat folded cardstock piece printed on the occasion of the January 1925 eclipse. 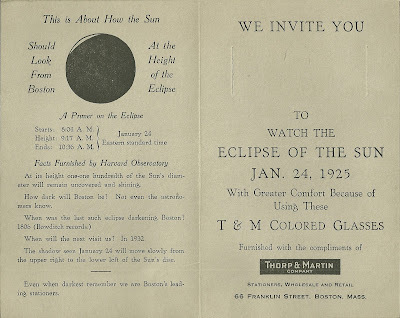 It originally contained a pair of colored glasses, but those are not present, probably having been used during the eclipse. The right pane has slits which were meant to hold the glasses in place. At its height one-one hundredth of the Sun's diameter will remain uncovered and shining. How dark will Boston be? Not even the astronomers know. When was the last such eclipse darkening Boston? When will the next visit us? 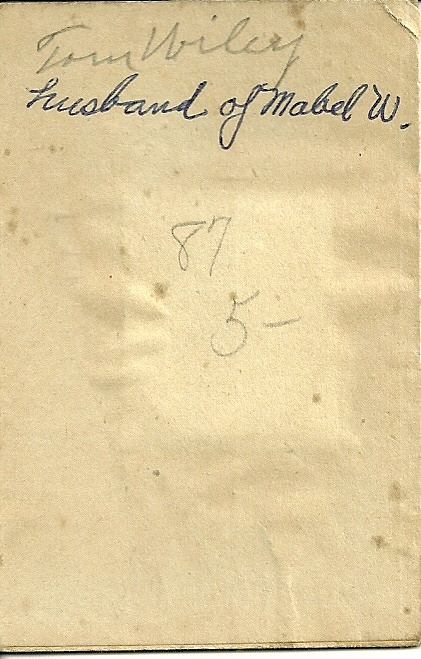 In 1932. The shadow seen January 24 will move slowly from the upper right to the lower left of the Sun's disc. 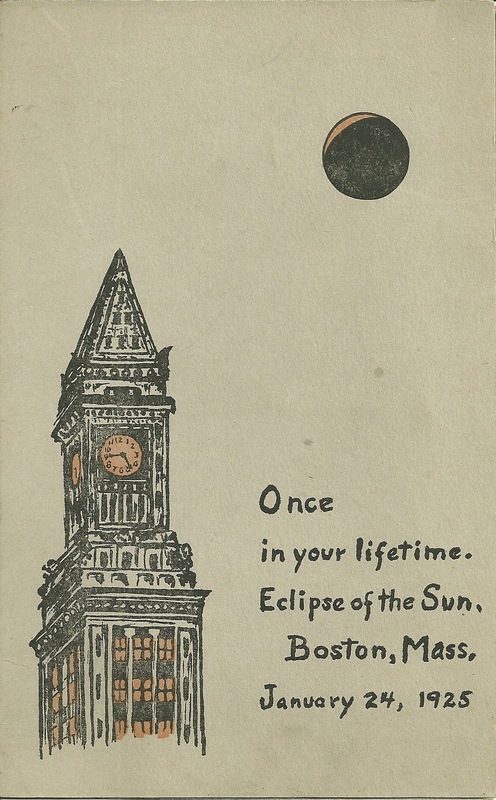 Even when darkest remember we are Boston's leading stationers. 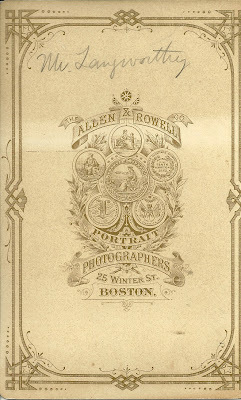 66 Franklin Street, Boston, Mass. 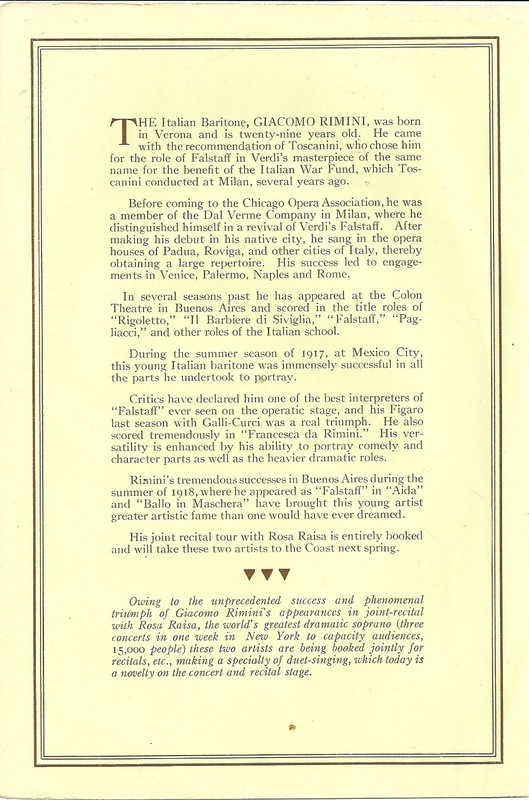 Circa 1919 or 1920 brochure on Giacomo Rimini, Famous Italian Baritone. Available for Concerts, Recitals, Festivals, etc.. Jules Daiber, Exclusive Management. 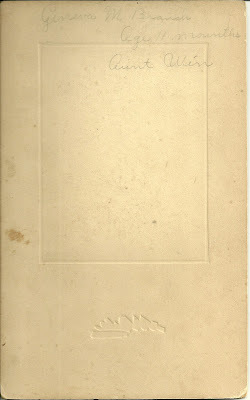 Concert Bureau Aeolian Hall, New York City, Mason & Hamlin Piano Used, Vocation Records. The Italian Baritone, GIACOMO RIMINI, was born in Verona and is twenty-nine years old. 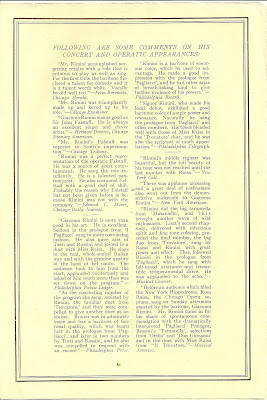 He came with the recommendation of Toscanini, who chose him for the role of Falstaff in Verdi's masterpiece of the same name for the benefit of the Italian War Fund, which Toscanini conducted at Milan, several years ago. Before coming to the Chicago Opera Association, he was a member of the Dal Verme Company in Milan, where he distinguished himself in a revival of Verdi's Falstaff. After making his debut in his native city, he sang in the opera houses of Padua, Roviga, and other cities of Italy, thereby obtaining a large repertoire His success led to engagements in Venice, Palermo, Naples and Rome. In several seasons past he has appeared at the Colon Theatre in Buenos Aires and scored in the title roles of "Rigoletto", "Il Barbiere di Siviglia", "Falstaff", "Pagliacci", and other roles of the Italian school. 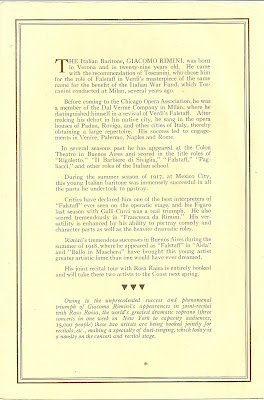 During the summer season of 1917, at Mexico City, this young Italian baritone was immensely successful in all the parts he undertook to portray. Critics have declared him one of the best interpreters of "Falstaff" ever seen on the operatic stage, and his Figaro last season with Galli-Curci was a real triumph. He also scored tremendously in "Francesca da Rimini". His versatility is enhanced by his ability to portray comedy and character parts as well as the heavier dramatic roles. 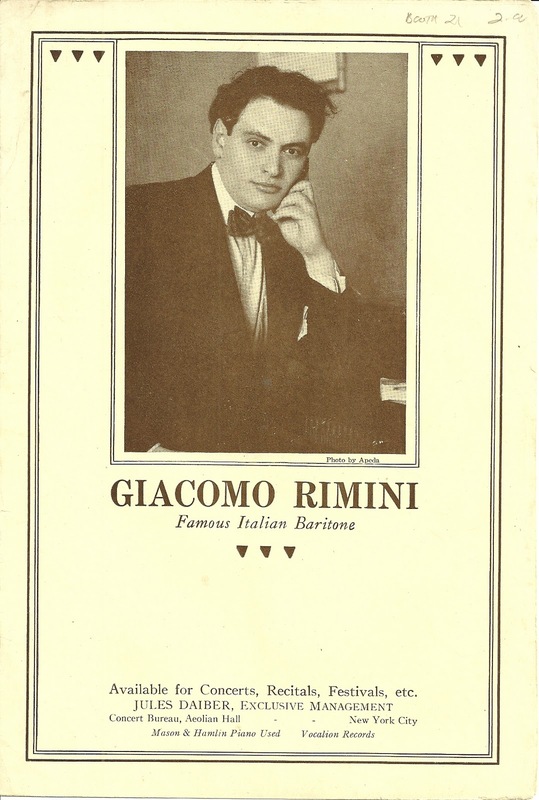 Rimini's tremendous successes in Buenos Aires during the summer of 1918, where he appeared as "Falstaff" in "Aida" and "Ballo in Maschera" have brought this young artist greater artistic fame than one would have ever dreamed. His joint recital tour with Rosa Raisa is entirely booked and will take these two artists to the Coast next spring. Owing to the unprecedented success and phenomenal triumph of Giacomo Rimini's appearances in joint-recital with Rosa Raisa,the world's greatest dramatic soprano (three concerts in one week in New York to capacity audiences, 15,000) these two artists are being booked jointly for recitals, etc., making a specialty of duet-singing, which today is a novelty on the concert and recital stage. 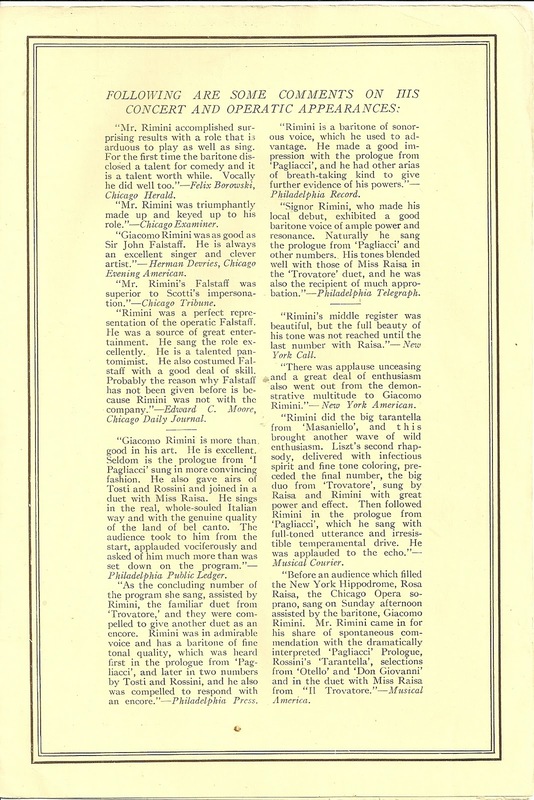 The page above contains many favorable comments from critics, such as Felix Borowski of the Chicago Herald; Herman Devries of the Chicago Evening American; Edward C. Moore of the Chicago Daily Journal. 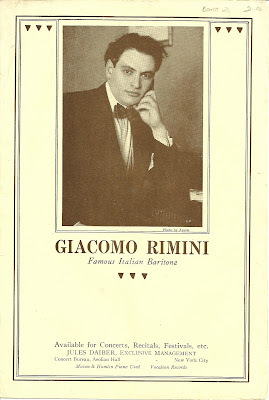 The fame of Giacomo Rimini extends to many European music-centers in addition to the prestige he has attained in this country. For the past two years Rimini has been one of the leading baritones of the Chicago Opera Association, where he has achieved phenomenal success in Falstaff, Tosca, Aida, Il Barbiere di Silviglia, Isabeau and the Jewels of the Madonna. This gifted artist's repertoire includes seventy operas and an extensive selection of concert songs. Rimini's voice - of rich, sonorous quality - is reproduced with amazing naturalness on the new Vocalion records. 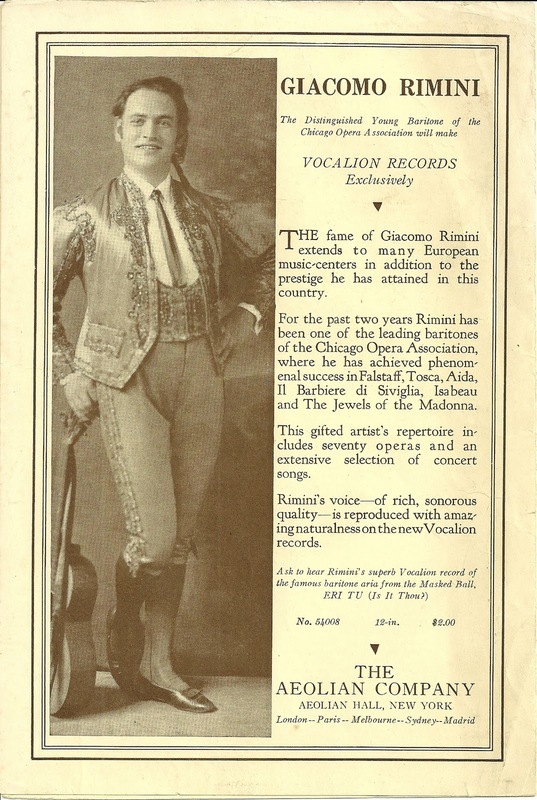 See a similar advertising piece for Soprano Rosa Raisa. Note: Be sure to read the comments section, which has much more information on the Remick/Conroy family and a guess as to the identity of the child. Enlarged photograph of a beautiful young child, not identified but in the family of Cora Maude Remick, who married Eugene F. Conroy, according to a page of genealogy that came with the photograph. Unfortunately I have only the last page. Patricia Conroy, born to Catharine and Lloyd, July 29, 1925. 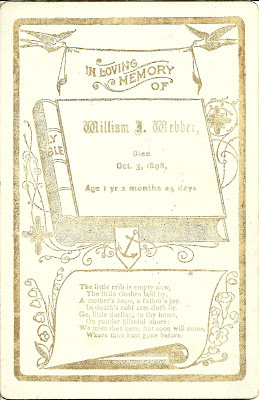 October 1869, died November 21, 1894. 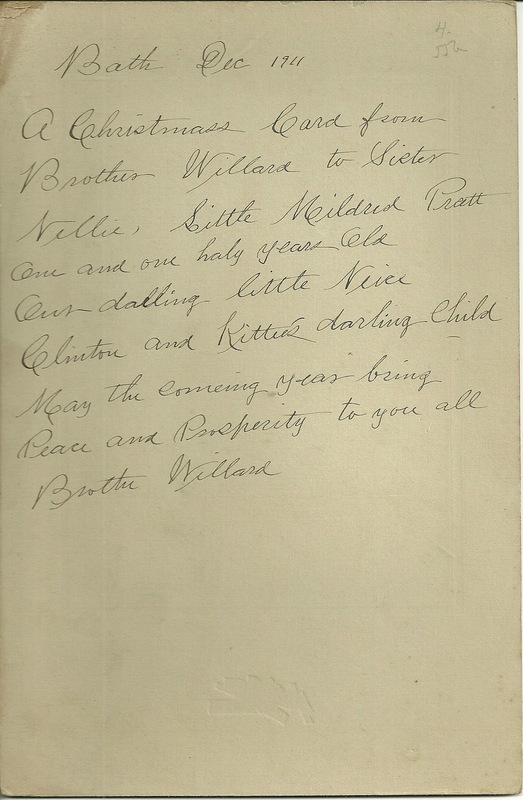 Walter Boyd Remick married to Hazel Porter, June 20, 1901. 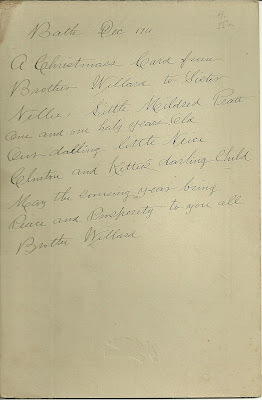 Walter married 2nd time to Caroline Elizabeth Link, July 31, 1923. 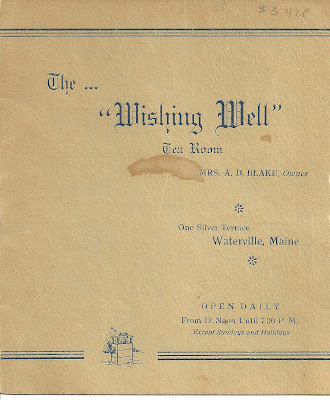 Cora Maude Remick was born 30 April 1868 in Maine, the daughter of John G. Remick, born in Otis, Maine, and his wife Sarah E. (Dexter) Remick, born in Dedham, Maine. 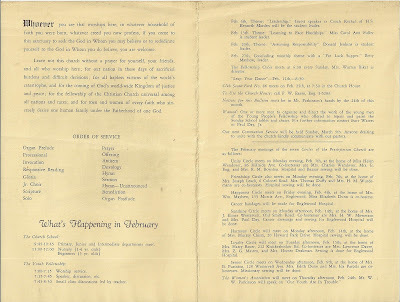 Her paternal grandparents were Elkanah and Nancy Jane (Bunker, I think) Remick of Mount Desert Island and Otis, Maine. 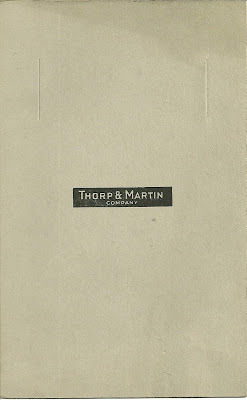 Her maternal , grandparents were Thomas Burrill Dexter, born in China, Maine, and his wife Mary Rideout (Blood) Dexter, born in New Hamphire; they had moved to Dedham, Maine. 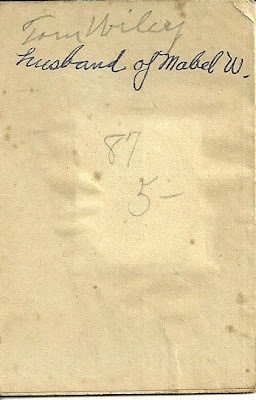 I don't have any information on the parents of Eugene Francis Conroy, and I'm not sure of his birthdate. The transcript has an obvious typo, but even 1864 is at odds with an entry for his birth month and year in the 1900 Census of March 1861. I'm accustomed to the 1900 Census being off by a year either way, but this would be 3 years. Eugene Francis Conroy and Cora Maude (Remick Conroy had three children: Madeline Agnes, Eugene Francis, Jr., and Lloyd Elwood. It's possible that the young girl in the photo is one of their children. 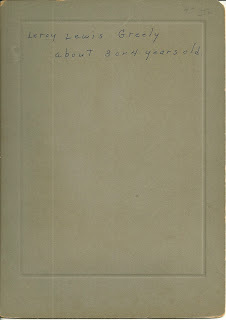 The handwritten sheet mentions a daughter born to Lloyd Elwood Conroy in 1924. 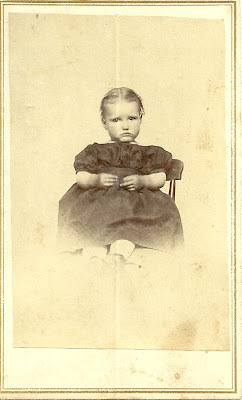 Another possibility is that the little girl isn't a direct descendant of Cora Maude Remick at all, but rather a descendant of one of her siblings, perhaps even identified on one of the preceding missing sheets of family genealogy. If you have any corrections, additions or insights regarding the information presented above, particularly if you recognize the young girl from family albums, please leave a comment in the comments box or contact me directly. 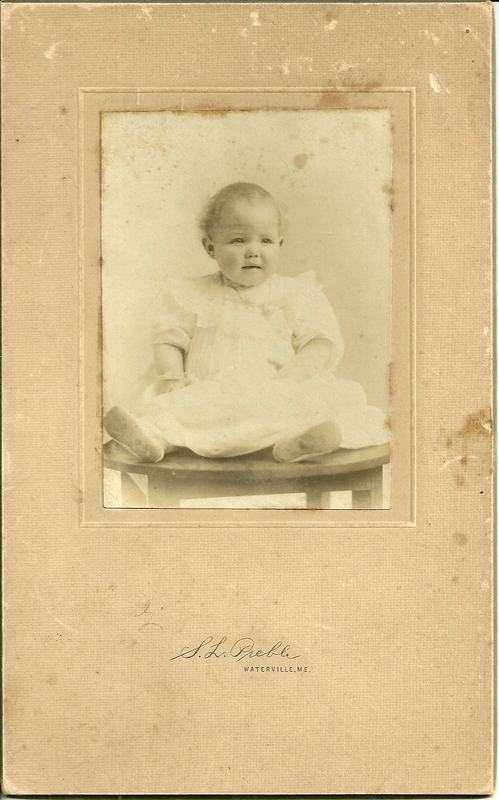 Photograph of Geneva M. Branch at the age of 11 months; photo by S. L. Preble, Waterville, Maine. 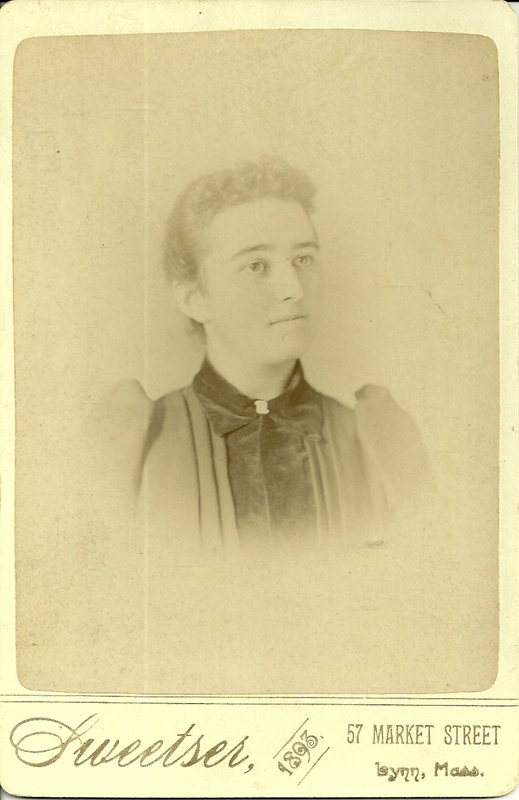 Geneva M. Branch was born about 1911 in Waterville, Maine, the daughter of Chester Arthur Branch and his wife Lena (Richards, I think) Branch of Waterville, Maine. 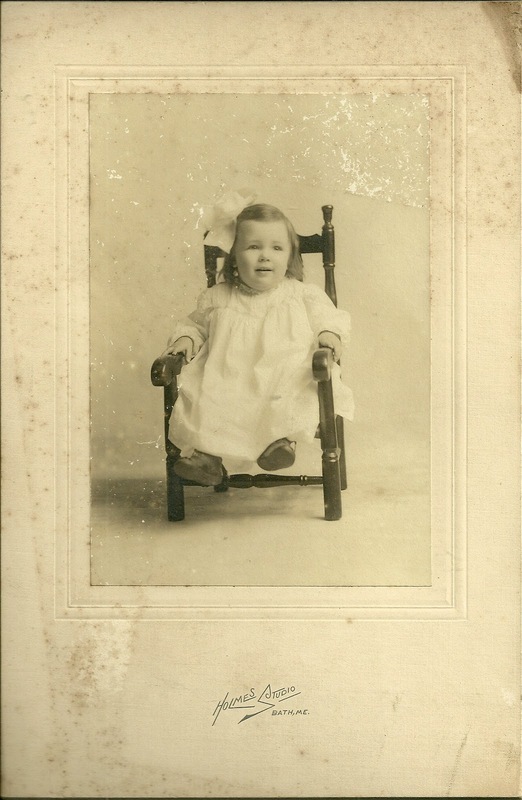 Her paternal grandparents were Winthrop M. and Emma (Hodges) Branch. 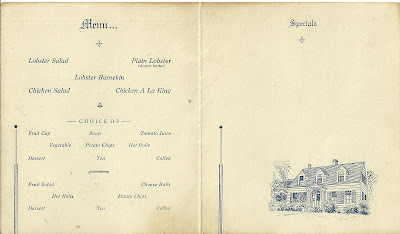 I haven't yet learned the names of the parents of Geneva's mother Lena, or if indeed Richards was her maiden name. 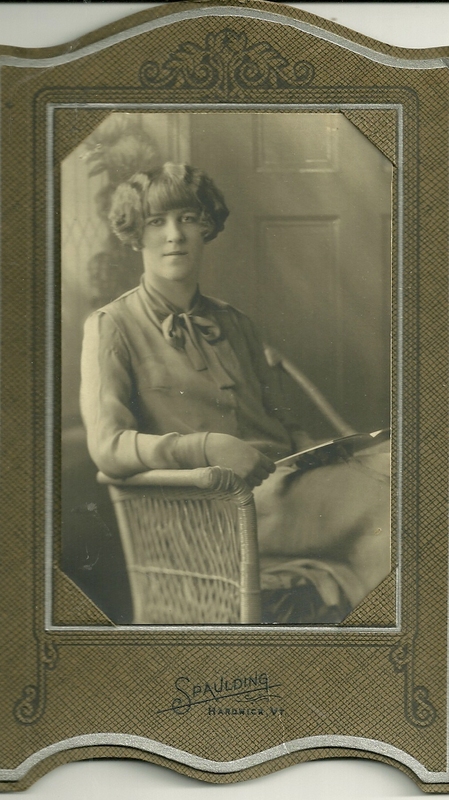 Geneva had a sister, Barbara, who was born in 1912. 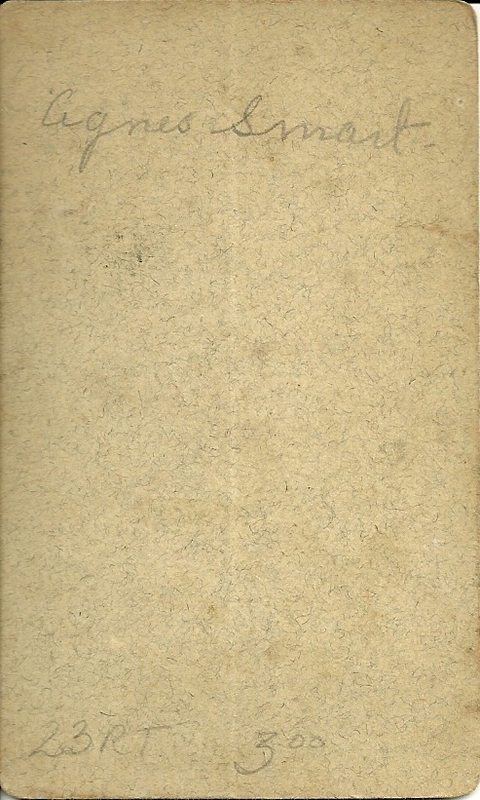 She married William A. Chase in 1964. 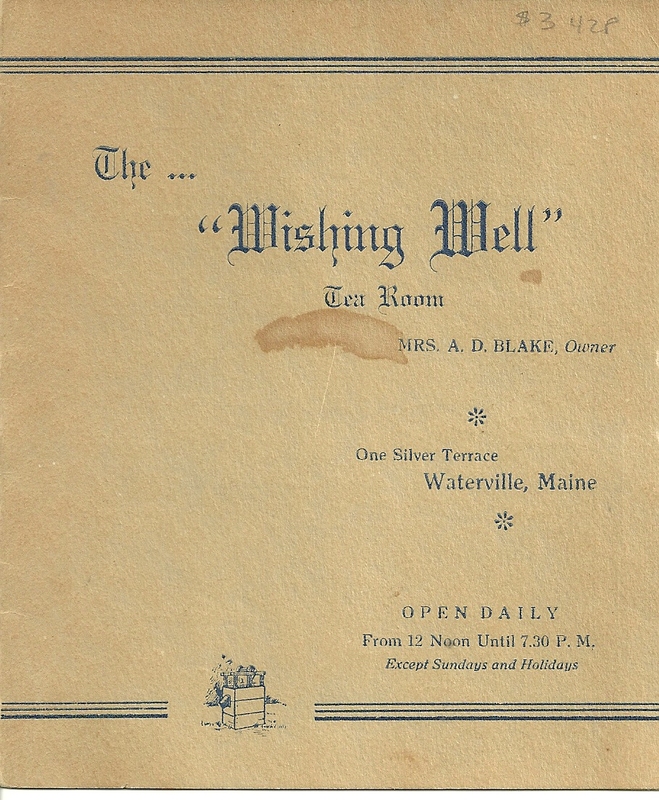 Geneva M. Branch married Erroll P. Libby or Saint Albans, Maine, on 2 July 1932. 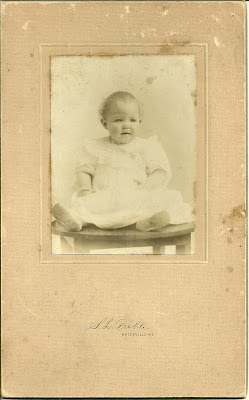 He was born 27 April 1909, the son of Chester Ellery Libby and his wife Susie E. (Emery) Libby. 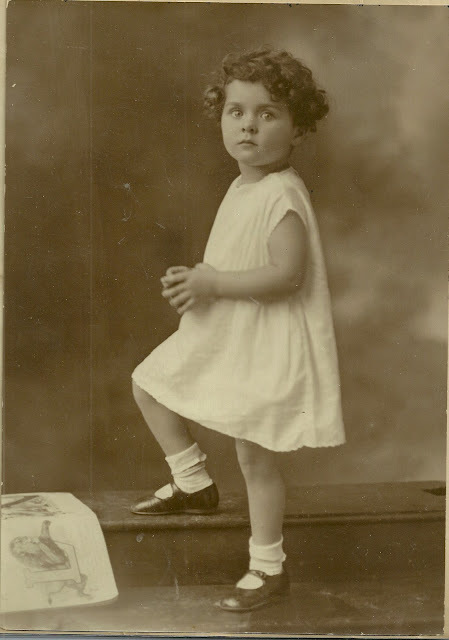 Sadly, Geneva died in 1938; I'm not sure if she and Erroll had any children. 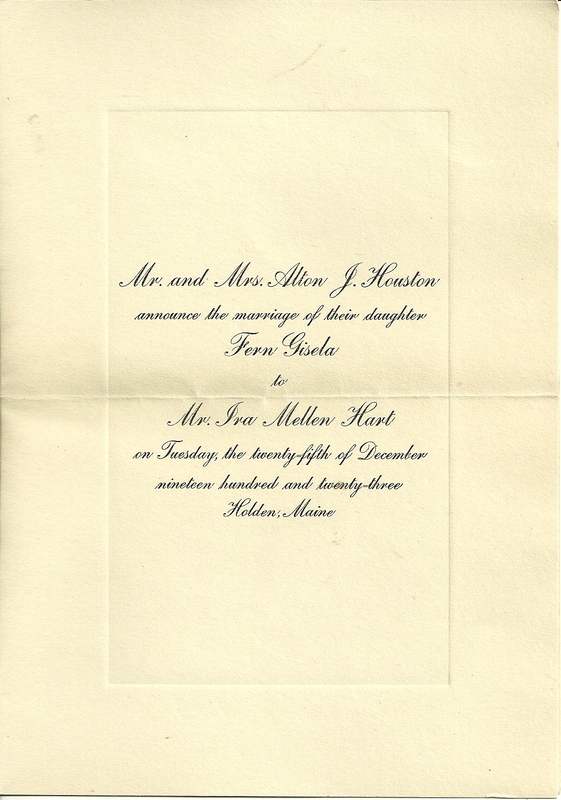 Erroll P. Libby married a second time in 1939, to Leona Sitnik. 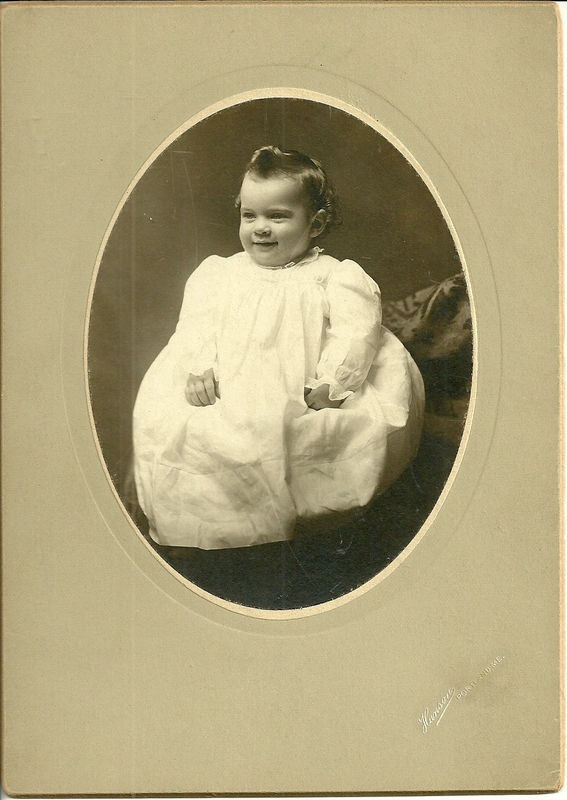 Photograph of Leroy Lewis Greely, Portland, Maine, at age 1, photo by Hanson studio of Portland. 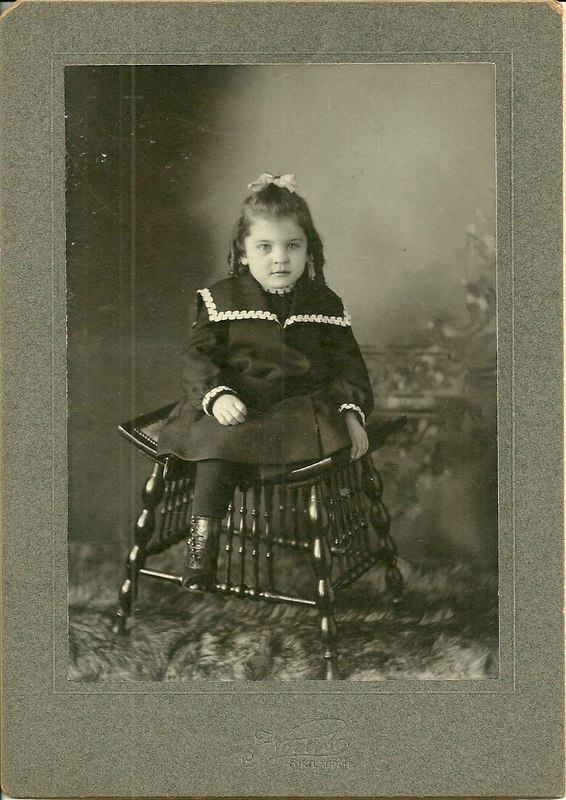 Photograph of Leroy Lewis Greely at age 3 or 4; photo by a Portland, Maine studio. Leroy Lewis Greely was born at Portland, Maine, on 10 April 1899, the son of Burnard L. and Harriet (?) Lewis. His paternal grandparents were, I believe, Eliphalet and Abbie (Abbott) Greely. 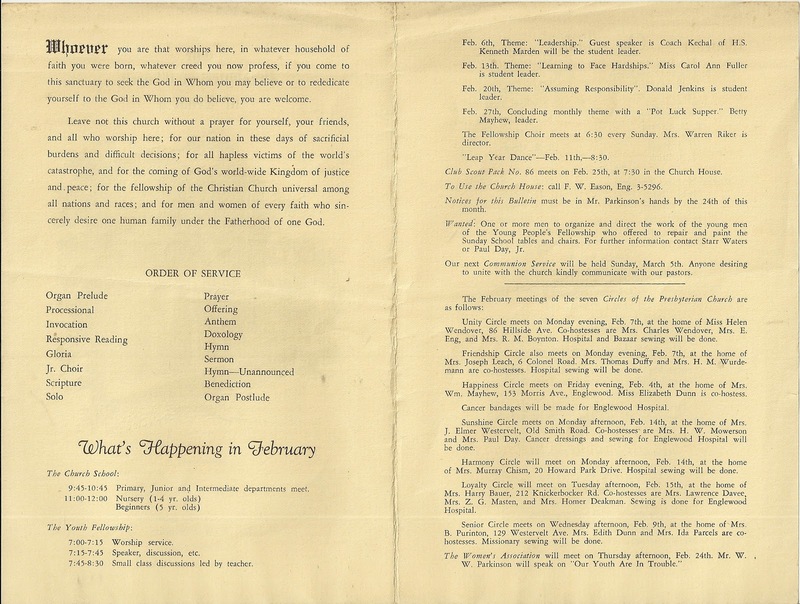 I don't have information on the maiden name of Leroy's mother Harriet, or the names of her parents, but she indicated on the Census forms that she was born in Canada. 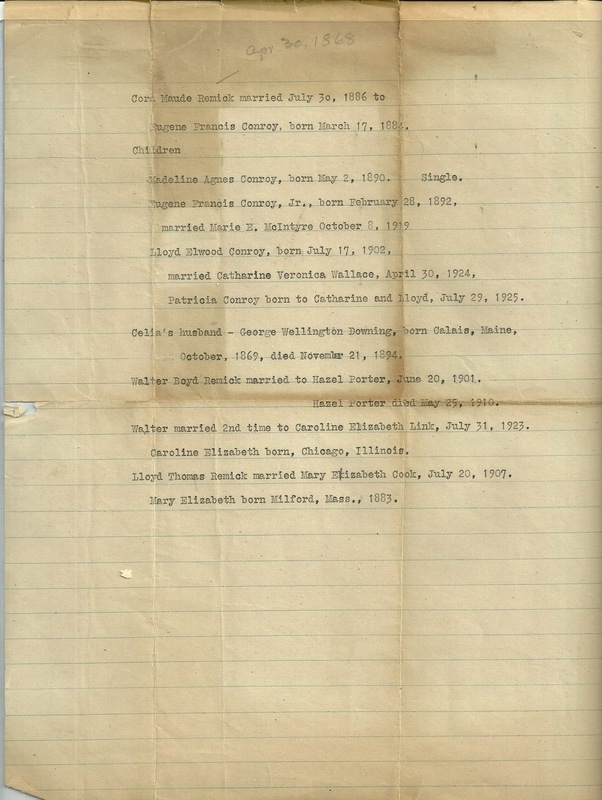 Leroy Lewis Greely married Hope Gertrude Davis, who was born 12 May 1900 in Providence, Rhode Island, the daughter of Joseph Carlton Davis and his wife Clara Louise (Peckham) Davis. 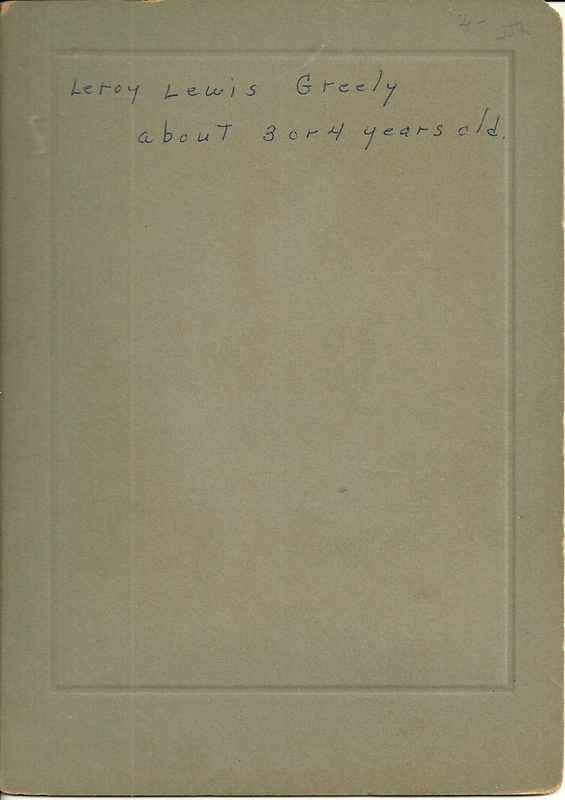 Leroy and Hope had at least one child, a son. If you have corrections, additions or insights regarding the information presented above, please leave a comment in the comments box or contact me directly. I'm especially interested in further identity of Leroy's mother Harriet, who was born in Canada.